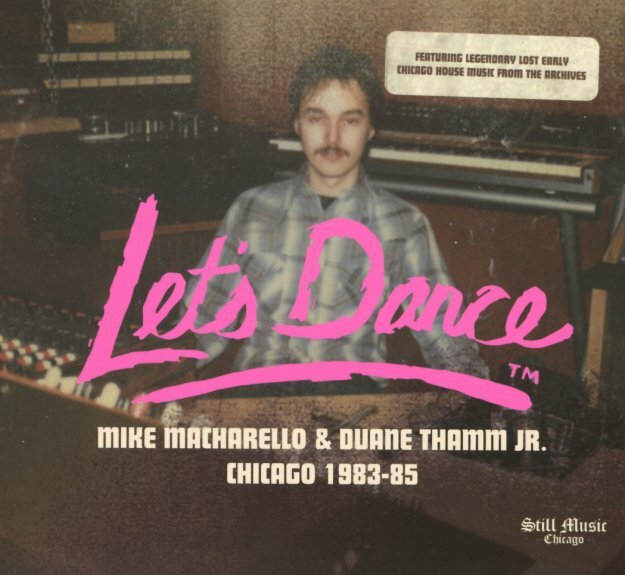 A cool collection from the earliest years of the Chicago house music scene – a time when the city's grooves were maybe as beholden to the styles from overseas as they were the new vibe going on in the Windy City! Lots of these tracks have heavier beats than basslines, and almost reflect some of the ways that New York street soul was using drum machines in the years after hip hop got going – but there's also an approach that shows that strong Chicago love of import dance records from the UK, Italy, and beyond – with modes that were borrowed strongly, then reshaped to make the more familiar grooves that influenced generations to come. As with other Still Music projects, the package is as much a history lesson as a music compilation – a great look into a tiny little label, with detailed notes, and tracks that include "Jump Trax Mix Down" by Duane Thamm Jr, "Single Girl (voc)" by Knight Action with Sedenia, "R-Trax (special mix)" by Knight Action, "Crazy Or Not (inst)" by Mike Tomaselli, "Nobody (club mix)" by Joey O & Out Of Control, "I Like That In You (dub)" by Belinda Hoover, "Crazy Or Not (virgin)" by Mike Tomaselli, "R-Trax/D-Rail (single dance mix)" by Knight Action featuring Sedenia, and "Jump Trax Mix Up" by Duane Thamm Jr. © 1996-2019, Dusty Groove, Inc.